Elections are one of the most important pillars of a democratic political process. In South Asian countries, conducting elections are a bit different from the Western democracies. There are several factors that emerge during pre-election era and are very much impactful on the election results. Pakistan also has the similar kind of environment where political parties and election contesting candidates have to face several challenges. 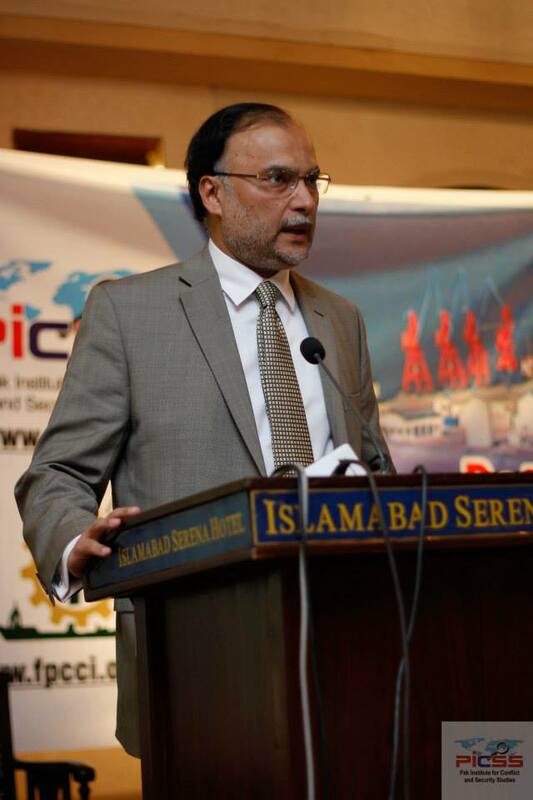 Currently, PML (N) government is in the last month of its tenure and its term would be completed on 31st of May. However, the pre-election environment has already been formed where the country is facing political instability, intense rivalry amongst the institutions, opposition amongst the political parties and forming and breaking of alliances within them. Media in the contemporary politics is also playing a very dominant role in perception development of the masses. 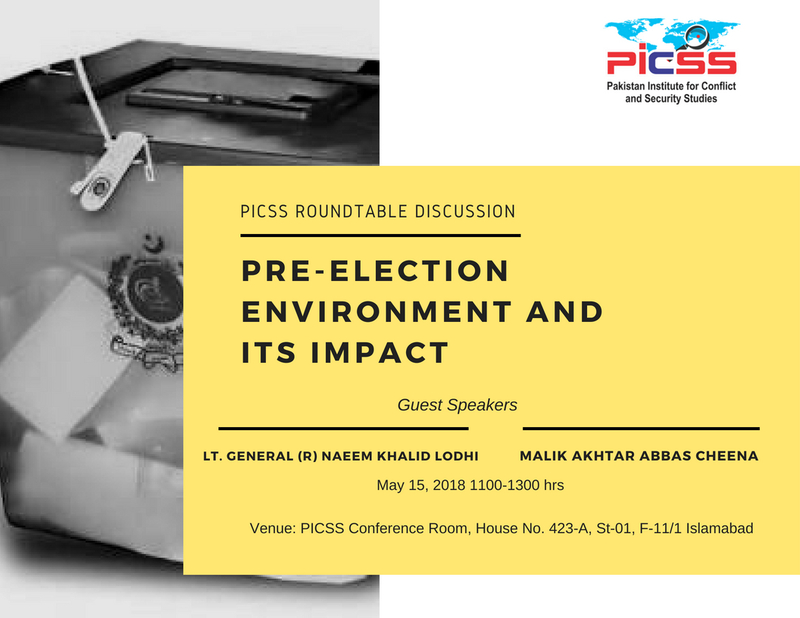 With the view to discuss and analyze various factors relevant in current and future political dispensation, a roundtable discussion was organized at PICSS in Islamabad on 15th May, 2018. 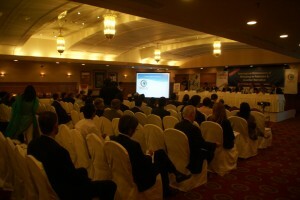 The topic of discussion was “Pre-Election Environment and its impact”. 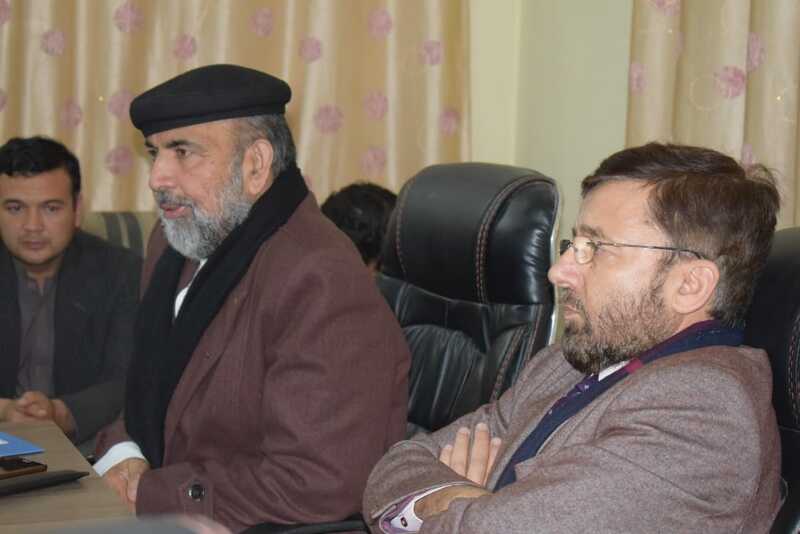 Two guest speakers of the session were Lt. Gen (R) Naeem Khalid Naeem Lodhi former Secretary Defence and Malik Akhtar Abbas Cheena advocate High Court. The attendees of the roundtable discussion included diplomats, politician, academia and business community. 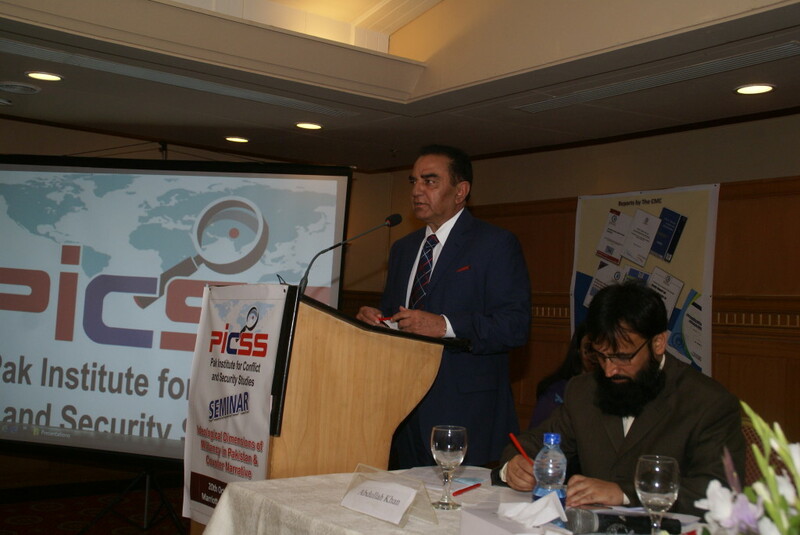 General Lodhi stated that international environment is impacting Pakistan and, the US being the sole superpower is making utmost efforts to prolong her status so the US is not only trying to impact international environment but also the regional as well as within Pakistan. Though on the other hand, China and Russia are the emerging powers which is a threat for the US. India is also an emerging regional power as well, so the nexus of International powers against Pakistan is very strong. The role of media in this nexus cannot be neglected as it plays a very important role in the perception management of people. There is an imbalance in the region politically, economically, socially and in terms of perception management. Pakistan has been the ally of the US in the past, yet now it is seeking to strengthen its relations with the other powers of the world. While talking about the internal politics of the country, General Lodhi stated that for the first time in the history of Pakistan, culture of political abuse has reached at unprecedented level. Political parties have openly started to abuse each other. There is a perception that the military establishment of the country is taking sides and trying to victimize one political entity. He also highlighted the attitude of those institutions that are currently impacting the pre-election environment such as Judiciary, Establishment and NAB. General Lodhi was of the view that any party which stays in the government for more than ten years forms a very strong clout because they have inducted people within the institutions, who have been working with them through their thick and thins and got their promotions. They have also been working with the contractors on developmental projects and the same people are rewarded again and again. He also highlighted that if anyone has gotten ill money during his tenure in power, he throws back half of it in the general elections and it does make huge impact. Similarly, the present government is also tricking people by putting gas pipelines and electricity equipment on the surface of the roads, yet not installing them. He also highlighted the fact that political parties are against automation of electoral process due to the fact that it preludes chances of rigging. General Lodhi then analyzed the kind and categories of votes namely, (i) sympathy vote; (ii) rising-sun vote; (iii) efficiency-based vote etc. 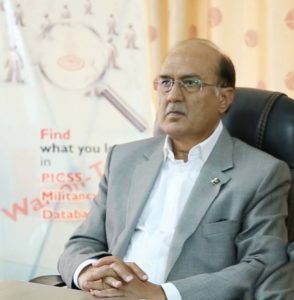 He lamented that there is no independent body in Pakistan that could carry out evidence based research to determine which government has performed well making it easy for the voters to assess performance of parties. General Lodhi concluded on the remarks that whatever the results of General elections may be, there would be utter chaos in the country after the General elections. Malik Akhtar Abbas Advocate initiated his talk with reference to the contemporary situation and was of the view that there is no ambiguity in terms of legal position that 2018 General elections could face delay. He also said that the constitution does not provide with any provision for the extension of the caretaker setup. 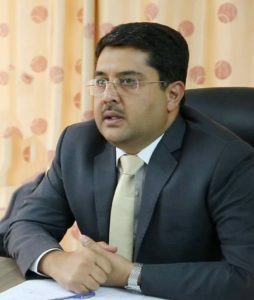 Akhtar Abbas specifically highlighted the legal technicalities of the interim government stating that the interim government would be having powers to deal with day-to-day issues while Election Commission of Pakistan would be having extensive powers. The first one is the super active Supreme Court of Pakistan that is taking action against any irregularity that comes forward. One-sided media is another important factor where electronic and print media have visibly taken sides with different political parties running a campaign against the opposition party. With reference to one-sided media, misleading social media in today’s world has also become an important factor and it does play an important role in misrepresenting facts and figures regarding the opposition. Powerless caretaker Government is the fourth factor which is only responsible for day to day affairs of the Government and does not hold any authority to initiate or implement any kind of developmental activities within the country. 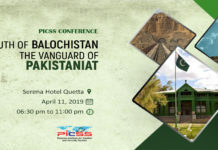 With an immense hype being created within the country, uncertain political situation in the country becomes obvious and tussle between the institutions of the state become so intense that it does impact the pre-election environment of the country. Malik Akhtar then highlighted the few factors that shape the pre-election environment within the country. The first one is the making and breaking of political parties. How alliances broke and formed and how strategically and calculatedly political parties form alliances in the race to come in the power circle. Role of NAB is also an important factor as how NAB in the recent months have opened references against the political elites and how they will be impacted in the upcoming elections. Demands for a new province in South Punjab have become aggressive with each passing day and this demand would certainly be influential and impactful in the upcoming general elections within the politics of Punjab. The Khatam-e-Nabuwat issue is also an important factor where a sit-in of Khadim Hussain Rizvi has paralyzed twin cities for almost two weeks and this would also make certain impact in the pre-election politics. Change of Government in Baluchistan and the recent Senate elections are other important factors where PTI and PPP joined hands and an independent candidate become Chairman of the Senate. Then Akhtar Abbas raised certain questions as how NAB would settle cases against the Shareef family. How do the decision of Supreme Court and the operations goes on. How does the internal rift in PML (N) settles down. How do different fractions of MQM want to contest elections. How do MMA plan a comeback and contest elections. How other religious parties make political alliances. Malik Akhtar Abbas was also of the view that elections in this unstable environment would head toward more political chaos and political Instability and the possibility of rejection of election results and future agitation is much more this time. Elections may result into fragile and hung parliament having no power for decision making. He critically highlighted the fact that Pakistan is not properly represented on the International forums and weak representation of the state makes our cases very weak. 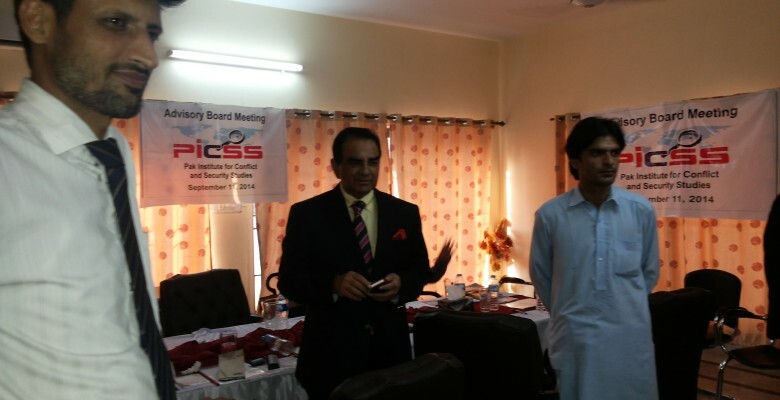 Malik Akhtar Abbas concluded his talk by offering some predictions and possible scenario with two possibilities. A PTI led coalition government can come in to power with the coalition of BAP, GDA, PML-Q, PSP, and AML. The second possibility is that PML-N and PPP coalition government could come in to power with the coalition of MMA, ANP, PKMAP, and MQM while the independently elected members could join either of the coalition. 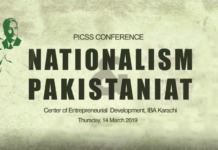 The talk of Malik Akhtar Abbas was followed by a Question &Answer session in which questions were asked from the two distinguished speakers while certain comments were also made regarding the political situation of the country. Any happening in Nawaz Shareef cases leads to a downfall in the Stock market giving huge loss to business community and neither government nor any institution is ready to accept responsibility for any losses. The event was ended with the concluding remarks of Director General PICSS Major General (R) Muhammad Saad Khattak that due to an uncertainty in the political situation of the state, chaos is expected in the country after the general elections, though whosoever comes in to the power should work for the betterment and for the National interest of the Country.